HARARE – The president of United Nations-led International Fund for Agricultural Development (Ifad), Gilbert Fossoun Houngbo yesterday said Zimbabwe needs to expand its irrigation scheme to combat drought and poverty. This comes after the organisation offered Zimbabwe grants and low-interest loans to improve food and nutrition security, provide employment opportunities for rural youth, and reduce poverty in its programming cycle starting next year up to 2021. Speaking at a press briefing yesterday at a local hotel, Houngbo said during his tour around Zimbabwe he observed that people largely depend on agriculture as a source of livelihood and investing in agriculture is the best way to reduce poverty. “For us to be able to reduce poverty, there is need for scaling up the irrigation programme and mapping of communal land,” Houngbo said. 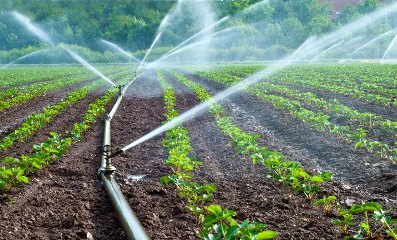 He added that Africa is still lagging behind in terms of irrigation as compared to Asia whose total land under irrigation is 41 percent while Africa’s stands at five percent. According to IFad over 27 700 poor rural households will benefit from the Small Irrigation Revitalisation Programme which aims to revitalise 6 100 hectares in 152 existing smallholder irrigation schemes in the semi-arid zones in four provinces. Speaking at the briefing, Agriculture minister Perrance Shiri said Zimbabwe has a potential land of two million hectares that can be utilised under irrigation. He added that the current 155 000 hectares of land under irrigation can be increased to 220 000 hectares.